China has published statistics on the production of bearings for 2012. According to these data the total volume of all domestic manufacturers amounted to 1801 billion bearings, which is 11.17% more than in 2011. The production volume for December 2012 was 180 billion bearings (20.9% more than in December 2011). 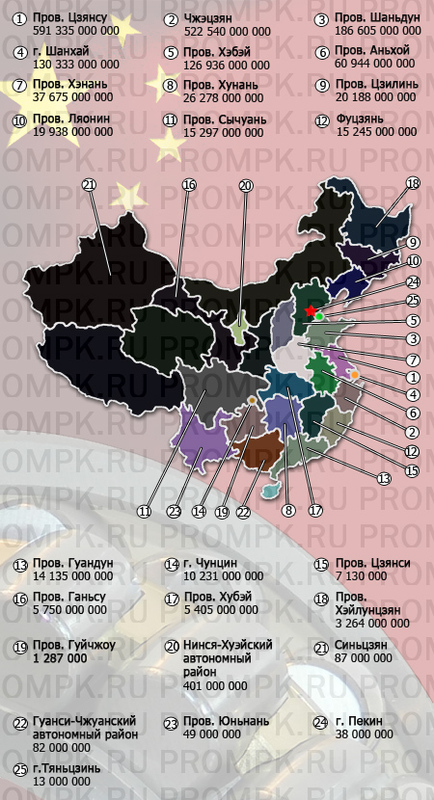 Shown above the production of bearings in the 25 major regions of the country. A significant proportion of production (nearly 86% of national production) came out of Jiangsu, Zhejiang, Shandong, Hubei and Shanghai – eastern coastal provinces, which have the most developed infrastructure and large consumption of bearings.